A cowhand, ‘The Virginian’ (Gary Cooper, High Noon), and his best friend, Steve (Richard Arlen, Wings), vie for the affections of the newly-arrived school teacher, Molly Wood (Mary Brian, The Front Page). 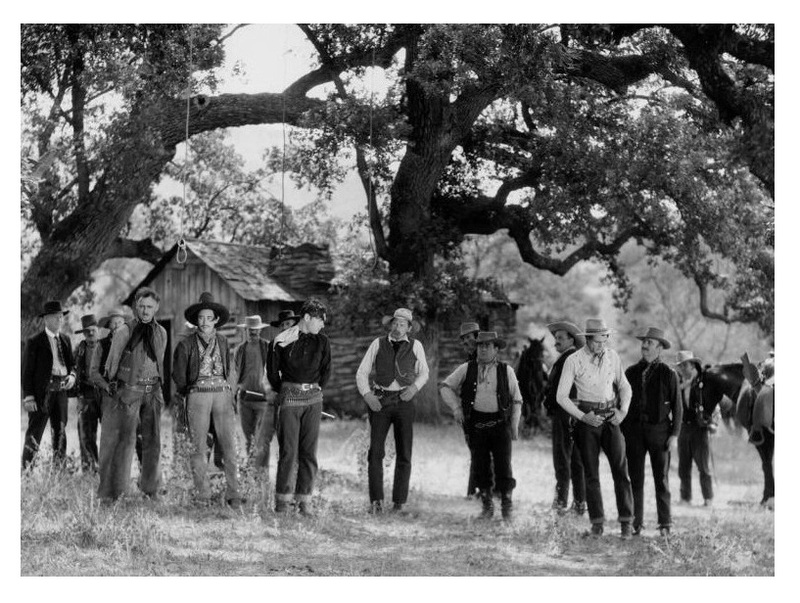 The cowboys also have to deal with treacherous bad guy, Trampas (Walter Huston, Dodsworth), who is into cattle rustling. Landmark western, and one of the most influential Hollywood movies. 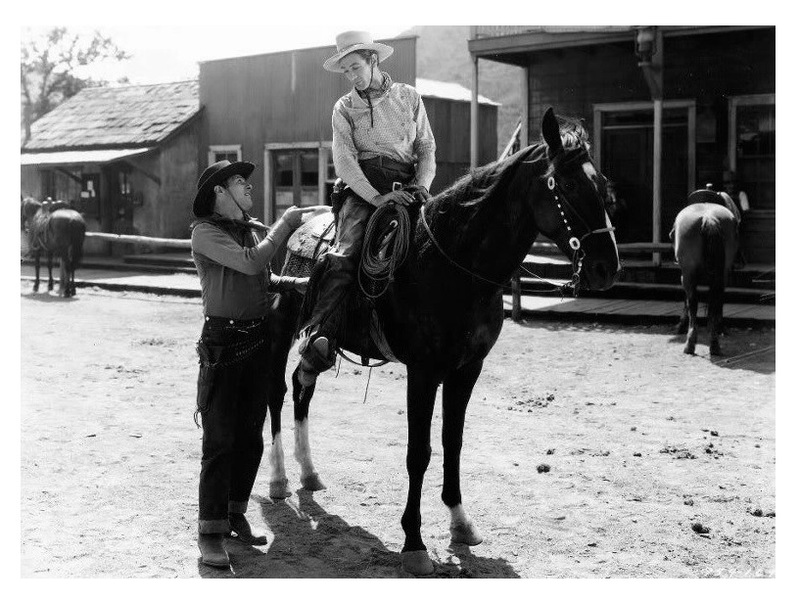 Based upon Owen Wister’s 1902 novel of the same name, The Virginian is ridden with clichés, but one has to keep in mind that this movie invented most of them. The Virginian, directed by Victor Fleming (The Wizard of Oz and Gone with the Wind), provided the blueprint for countless of other westerns. The schoolmarm symbolizing progress, the relationship between violence and justice, etc. — all these elements have become staples of the genre. It’s creaky in places and some of the performances are still in silent mode, but in the end, however, some genuinely moving moments and a superbly staged shoot-out compensate for its imperfections. 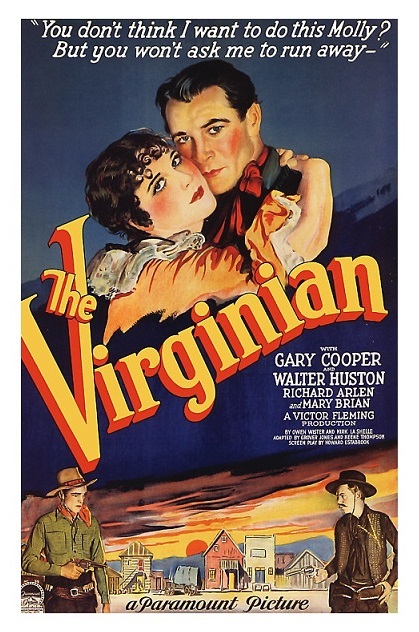 Also, despite being an early talkie, The Virginian effectively showcased the outdoors. Today, the movie may not look like much, but at the time, because of the archaic sound equipment, shooting outside a studio posed incredible challenges. You sense a certain amount of experimentation and that was interesting to watch, at least to me. Gary Cooper plays the original “Man With No Name” and the role made him a star. He was clearly an unlikely candidate for movie stardom. Cooper’s lanky body and soft-spoken voice is not the stuff of movie legends. And, yet, there is something very special about him — you can’t take your eyes off him. Walter Huston plays the archetypal baddie — black hat, black mustache, and black heart. Huston is the kind of villain you love to hate. Character actor Eugene Pallette (The Adventures of Robin Hood) has a small role. Future movie star Randolph Scott (Ride the High Country) is supposed to be an extra, but I didn’t see him. The story has been filmed many times. First as a 1914 silent film directed by Cecil B. DeMille, and again in 1946 with Joel McCrea in the title role. The book was later adapted as a long-running TV series, starring James Drury as ‘The Virginian’ and Doug McClure as Trampas. B&W, 91 minutes, Not Rated.